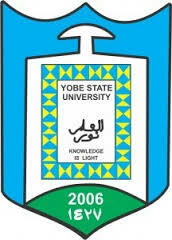 The Yobe State University Management wishes to notify all 2017 Pre-Degree Students who have failed the Pre-Degree pass mark (i.e. scored less than CGPA of 2.00) but, passed JAMB with 140 & above that they are required to participate in the forthcoming YSU Post-UTME screening to secure their admission. For Further ENQUIRIES Call: 08027712646/08034420257/08064993647 or visit: www.ysu.edu.ng for more details.